The gateway to true Northern California, bridging nature with arts and culture experiences. Redding Cultural District’s is located 160 miles north of Sacramento and includes three majestic mountain ranges as a backdrop. World-class attractions – located at the bend in the Sacramento River – connect to its historic downtown via the Sundial and Diestelhorst bridges. Explore on foot or on a bicycle. Cultural and artistic activities range widely, from food cultivation and dining, music production and consumption, microbrewing and wine tasting to theater, dance, cycling, scholarship and education, art, and exploration of nature. Nearly 70 public arts sites and more than 50 restaurants, bars, and coffee shops can be found. Regional, national, and international performing artists frequent the historic Cascade Theatre and Redding Civic Auditorium, while the Carter House Gallery, Old City Hall and Turtle Bay feature art and cultural installations. The Sundial Bridge – a glass art walkway across the river – is one of the largest working sundials in the world. 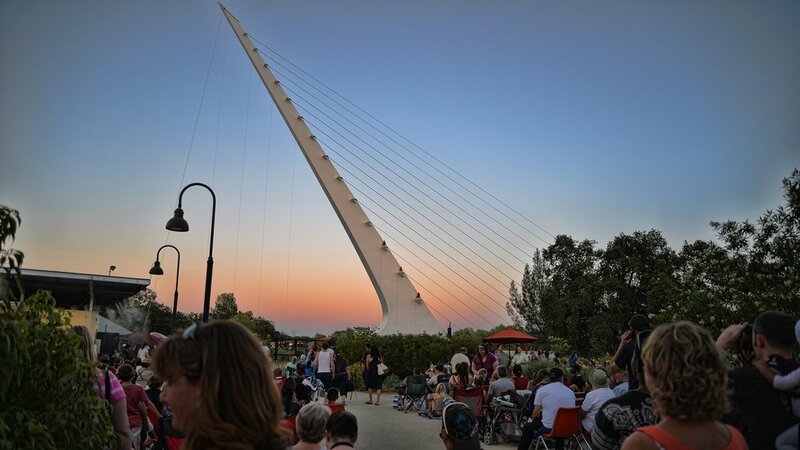 The Sundial experience gives visitors a connection to nature, public art, trails, Wintu history, McConnell Arboretum & Botanical Gardens, Redding Rodeo, and parks along the river – featuring a diversion dam, skate park, performing spaces, and Diestelhorst Landing. California’s northeast corner is an outdoor-lover’s paradise, with safe-to-explore volcanoes, hushed forests, and trout-filled rivers. This is the place for blue-ribbon fishing, houseboats anchored in cool lakes, countless campgrounds, and inviting trails for hiking and mountain biking. All this, plus friendly towns and inviting rural farms in fertile lands near the Upper Sacramento River.